Fairfield Inn & Suites by Marriott Calgary Downtown Discover one of Calgary’s newest hotels, ideally located in Calgary's Beltline area, just off of Macleod Trail. 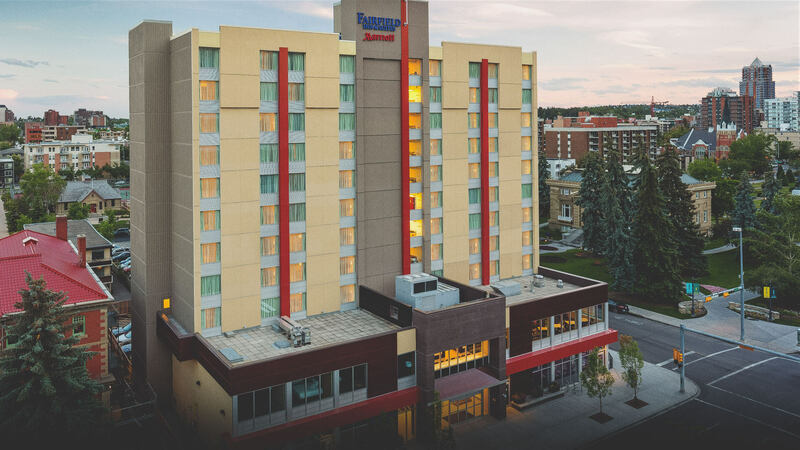 The Fairfield Inn & Suites Calgary Downtown is situated beside Central Memorial Park and is a short walk away from offices, shopping & dining in the downtown core. Nearby is Stampede Park – home to the world famous Calgary Stampede, Scotiabank Saddledome & BMO Centre; while the Calgary Zoo is a ten minute drive away. A few blocks to the north are the Stephen Avenue Mall & the Core Shopping Centre. Our hotel features spacious guest rooms & suites that allow you to work & relax in comfort. Start off each day right with our complimentary hot breakfast, featuring healthy options such as eggs, sausage, oatmeal, yogurt & fresh fruit. We also feature complimentary Wi-Fi, a fitness room, a business centre & guest laundry (fee). 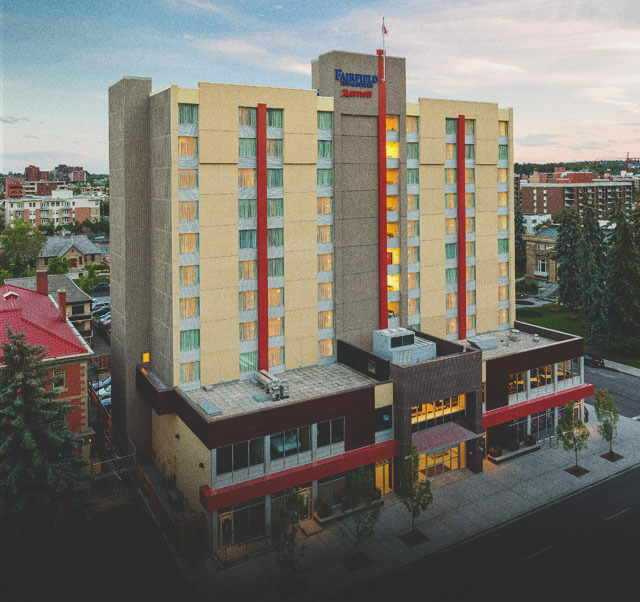 At the Fairfield Inn & Suites Calgary Downtown, you’re our #1 priority. We promise you’ll be satisfied, or we’ll make it right. That’s our commitment to you. A few blocks to the north are the Stephen Avenue Mall & the Core Shopping Centre. Our hotel features spacious guest rooms and suites that allow you to work and relax in comfort. Start off each day right with our complimentary hot breakfast, featuring healthy options such as eggs, sausage, oatmeal, yogurt and fresh fruit. We also feature complimentary Wi-Fi, a fitness room, a business centre and guest laundry. At the Fairfield Inn & Suites Calgary Downtown, you’re our number one priority. We promise you’ll be satisfied, or we’ll make it right. That’s our commitment to you. Situated in one of the city’s most exciting neighbourhoods, there are plenty of shopping, dining and recreation options just outside of the Fairfield Inn’s doors. Nearby is Stampede Park – home to the world famous Calgary Stampede, Scotiabank Saddledome & BMO Centre; while the Calgary Zoo is just a ten minute drive away. Be sure to grab some brunch at The Beltliner and a plate of tacos at Native Tongues — both located directly below the hotel.